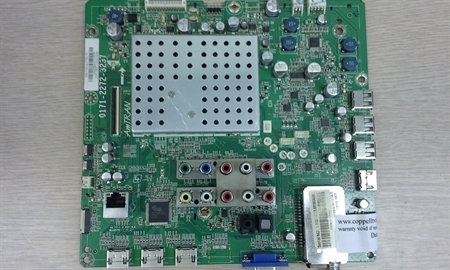 Repair service for main board 3647-0302-0150 used in Vizio M470NV smart LED TV. 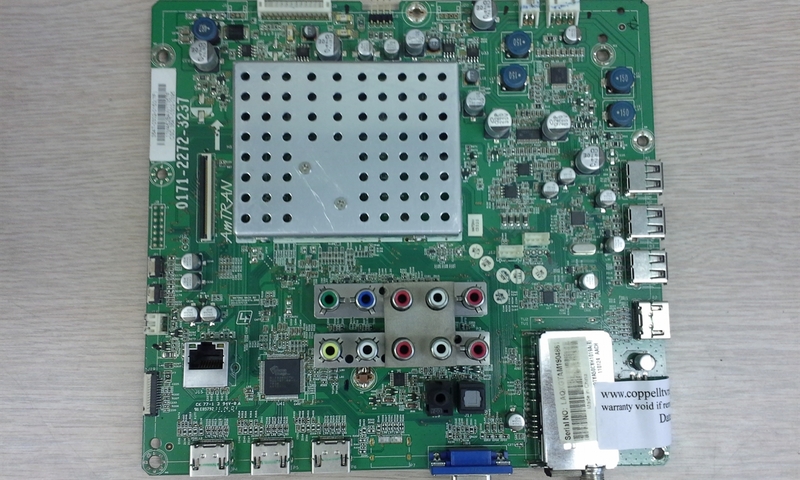 Coppell TV Repair LLC offers a REPAIR SERVICE for main board 3647-0302-0150 shown on the picture and used in Vizio M470NV smart LED TV. REPAIR SERVICE means that you have to send us your malfunctioning board which we will attempt to repair, test and return back to you. Note the board's PCB number should be 0171-2272-3237. The same PCB is also used in other TV models and has different finishout product number (ABCD-WXYZ-0150 number); boards with different product numbers are usually NOT compatible with each other. If your board's PCB number is 0171-2272-3232 please use our listing for that board. Below is a list of symptoms we have seen when this board goes bad. Some are different manifestations of the same failure, others are different failures altogether. This list is not explicit. There sure are failure symptoms not included in it. None of the listed manifestations points uniquely to the main board either, let alone guarantee that the main board is the only one at fault. It is merely what we started with - a list of failure symptoms we have observed and which came to have originated from the main board.